Neustar is very proud to announce that we were named a winner by the Software & Information Industry Association (SIIA) at the 2018 CODiE Awards in San Francisco on June 12. Our industry-leading Verification for TCPA with Visualization was honored in the category of Best Customer Relationship Management Solution, which “recognizes the best software solution designed to expand a company’s knowledge about, and relationship with, its current or potential customers and/or partners”, as described on the CODiE Awards website. The Neustar Verification for TCPA solution helps organizations mitigate risk and comply with the regulations set by the Telephone Consumer Protection Act. The end-to-end solution provides call centers with the most accurate and up-to-date consumer contact information in their CRM when making outbound calls. In addition to mitigating compliance risk, Neustar Verification for TCPA has been shown to improve operational efficiency of outbound dialing, increasing Right Party Contact (RPC) rates by 18%. The service identifies numbers at risk for TCPA violations, prioritizes the right telephone numbers to call for a given consumer, corrects outdated information and fills in gaps in CRM records. Neustar’s authoritative data is updated every 15 minutes from more than 300 independent sources, including the nation’s leading telecommunications service providers. The net result is increased right-party contact rates and revenue-per-dial, meaning better operational efficiencies, cost savings and improvement to the customer experience. TCPA prohibits the use of auto-dialers and pre-recorded messages without the consent of the called party. 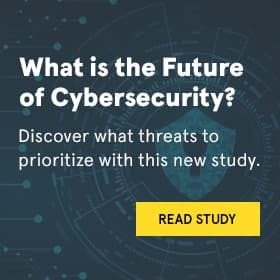 Neustar mitigates this risk and improves operational efficiencies by verifying the links between a consumer’s name, phone number, valid consent and other attributes. This provides the necessary insights into who a company should or should not be calling or texting, as well as the phone numbers that present the most risk. Neustar also enables organizations to verify wireless phone numbers and subscribers, in real time, to learn if TCPA regulations apply, as well as determine if they are the same party who provided consent. Since 1986, the SIIA CODiE Awards have recognized software, information and education technology companies for achieving excellence. The 2018 winners represent products and services that reflect the latest industry trends in both the business and education technology industries. The SIIA CODiE Awards are the industry's only peer-reviewed awards program. The first-round review of all nominees is conducted by software and business technology experts with considerable industry expertise, including members of the industry, analysts, media, bloggers, bankers and investors. The scores from the expert judge review determine the finalists. SIIA members then vote on the finalist products, and the scores from both rounds are tabulated to select the winners. 51 awards were given this year for products and services deployed specifically for B2B software, information and media companies, including the new Best Overall Business Technology Product, awarded to the product with the highest scores of both rounds of judging. Telephone Consumer Protection Act (TCPA): Is My Business at Risk?